I've always taken the approach in parenting that it is important for my children to not just be educated but also to develop an appreciation for life long learning. Instead of seeing school and homework as a chore, I want them to treat their lessons like solving puzzles so they hopefully will perceive entertainment and education as mutually compatible rather than polar opposites. 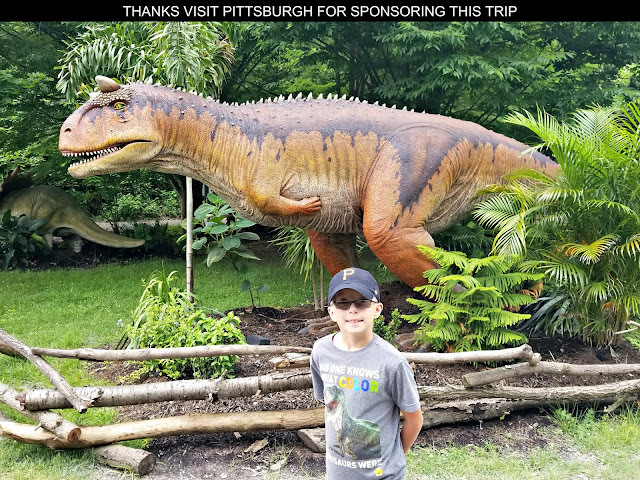 One of the ways our family tries to combine entertainment with education is taking a break from our leisurely activities during a family vacation or road trip to visit an aquarium, museum, historical site, science center, zoo or some other location where they can learn a few lessons. Hopefully this is developing a sense of curiosity and exploration that will help them with their educational endeavors as they move through life. 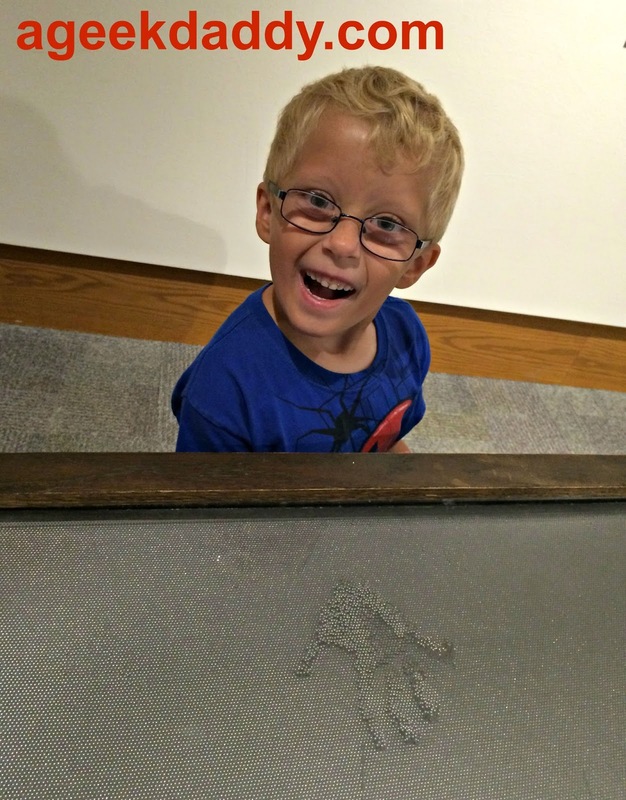 An example of this parenting approach is during our beach vacation to Traverse City, Michigan we took some time to stop by Northwestern Michigan College's Dennos Museum Center. 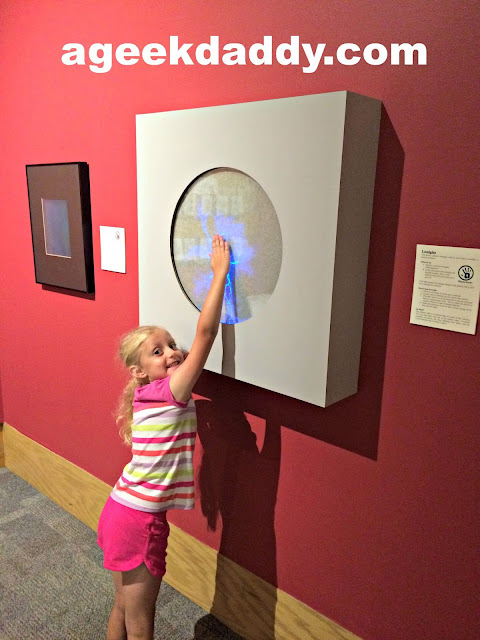 It features a variety of displays, exhibits, and facilities to promote the visual and performing arts plus hands-on experiences to encourage people to be scientifically inquisitive. The Dennos Museum Center was a 2015 winner of TripAdvisor's Certificate of Excellence. 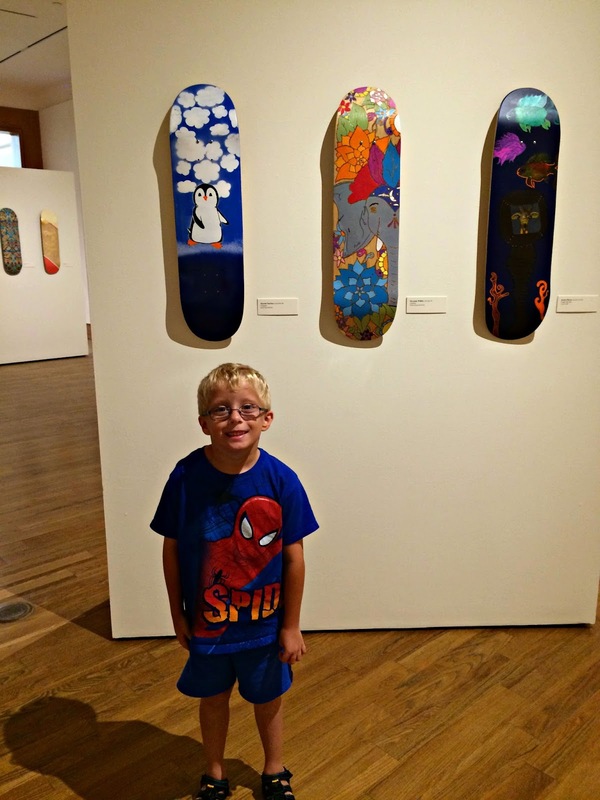 When we stopped by the building in addition to hosting its Discovery Gallery and art exhibits, they were also screening movies for the Traverse City Film Festival in the 1,000 seat Milliken Auditorium. 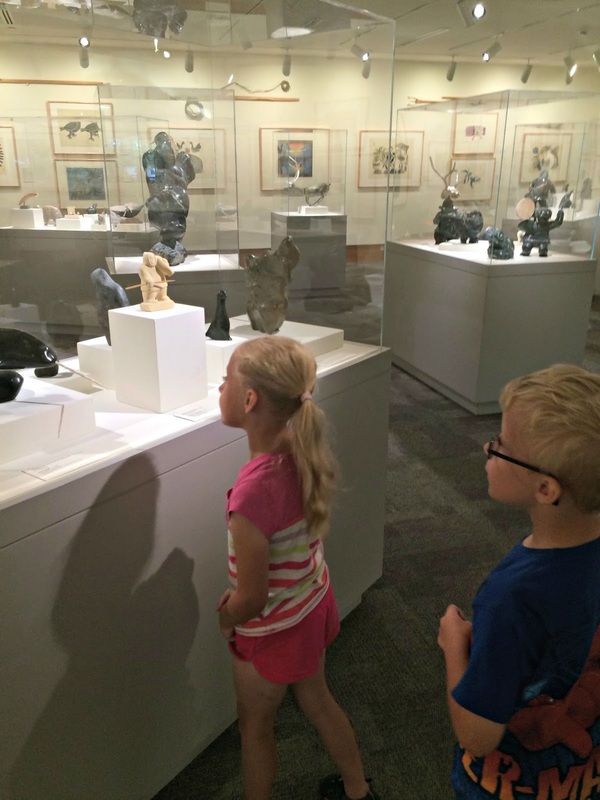 We focused our time though on walking around the art displays and playing around with the hands-on activities. The first gallery we explored was the Dennos Museum Center's permanent collection of Inuit Art. Inuit are the culturally similar indigenous peoples inhabiting the Arctic regions of Greenland, Canada, and Alaska. 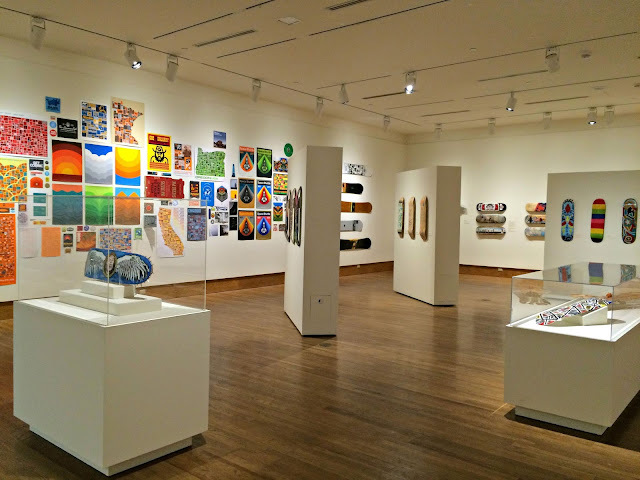 Most of the artwork in this collection originates from the Baffin Island area of Nunavut, Canada and is comprised of more than 1,000 prints, sculptures, drawings, tools, and textiles that were created between 1950 and the present day. 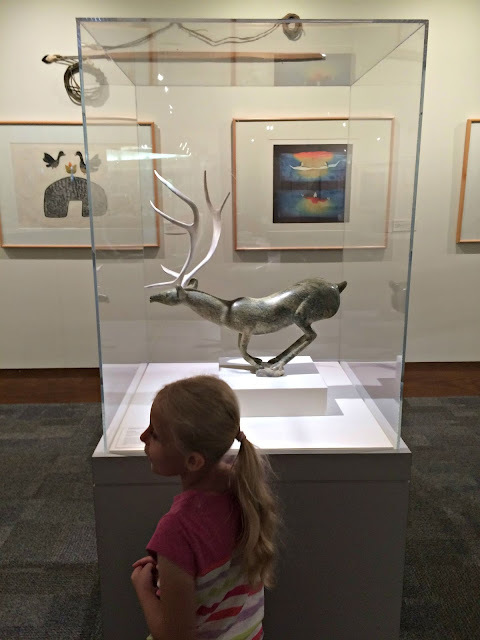 The Dennos Museum Center is recognized for having one of the most historically complete collections of contemporary Inuit art located within the United States. 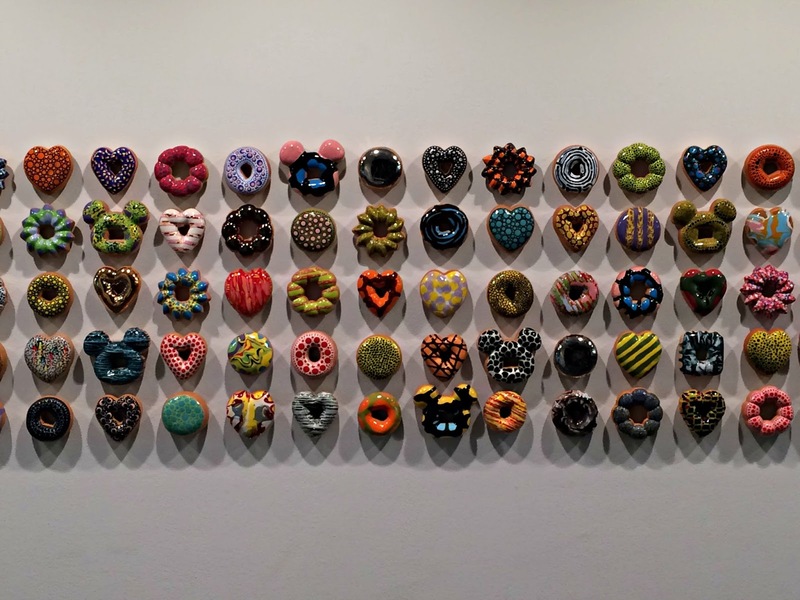 Next we checked out a temporary visiting art display by a South Korean artist named Jae Yong Kim that had a theme we could really relate to - Lusting For Donuts. 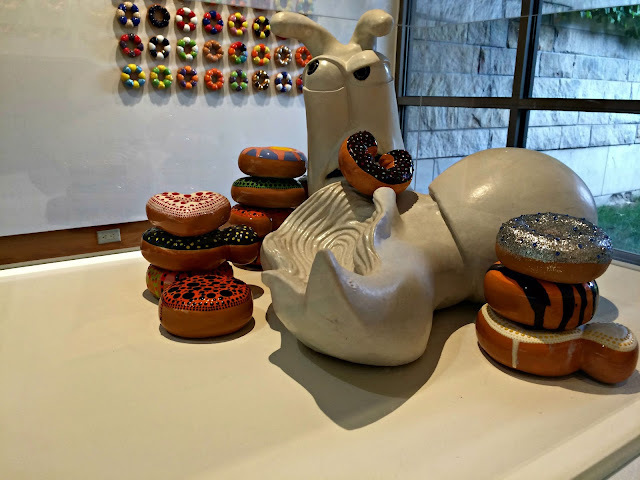 The art display is filled with ceramic donuts and a few snails taking a bite out of them. Kim's art explores issues through the use of surrogate subjects such as donuts or snails. He has developed a reputation for being quirky and having the ability to present to viewers of his artwork complex concepts of cruelty, pain, joy and love through simplistic images. One of the few things that brought me joy was a donut. The simplicity of its shape and expression of taste afforded me a brief moment to indulge in childlike happiness. And it was here in this simple donut that I found the perfect vehicle for my message. We ultimately become consumed by what we lust after, but when seeking true happiness we become genuine expressions of ourselves. Hmm is that a profound philosophy or a Homer Simpson moment? I'm sorry I kept picturing the character from the Simpsons television series as my kids became obsessed with getting an accurate count of just how many donuts were on display. In addition to trying to interpret the meaning Jae Yong Kim's work and counting donuts, my kids also contributed to the display. 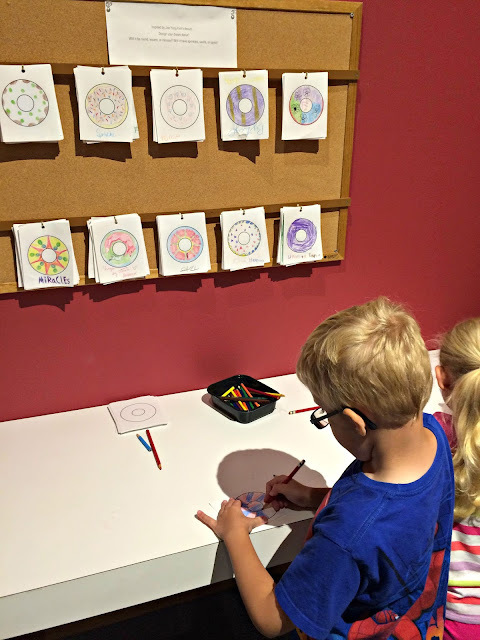 They colored their own donuts and hung them up on the wall to add their own personalization to the art work and leave their own mark that they'd visited the Dennos Museum Center. After Lusting For Donuts I was ready for a snack, but instead we explored the Hands On Gallery. I have to admit that after visiting places like the Imagination Station in Toledo and the Ann Arbor Hands On Museum this area could only be described as tiny in comparison. That being said they had some very nice features that my kids really enjoyed during our visit. 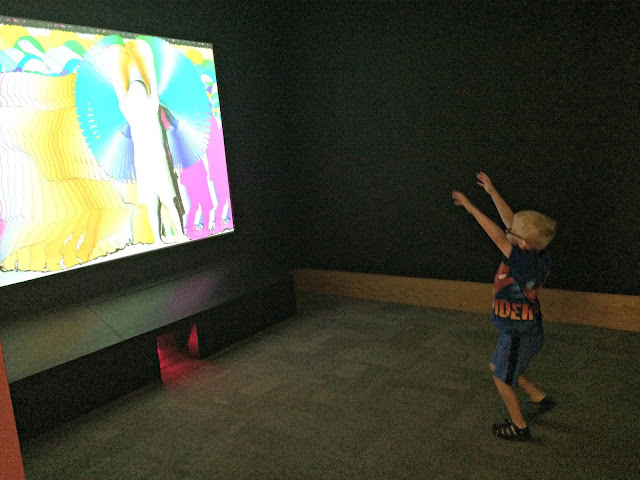 My son loved the Recollections exhibit that transforms your motions into colorful projections upon a huge screen in front of you. 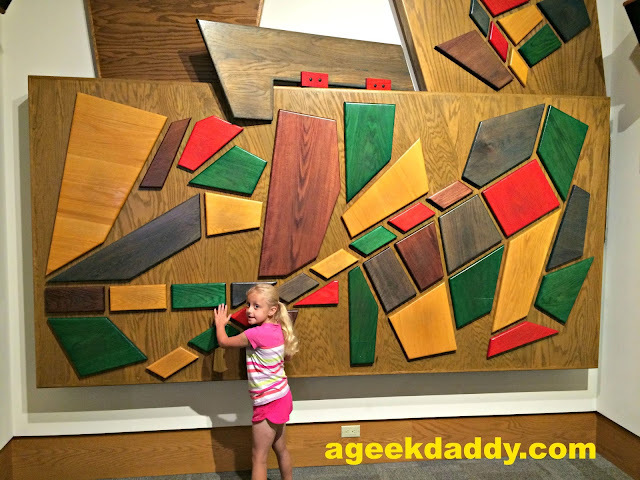 He spent a half hour just dancing around making all sorts of patterns to marvel at. 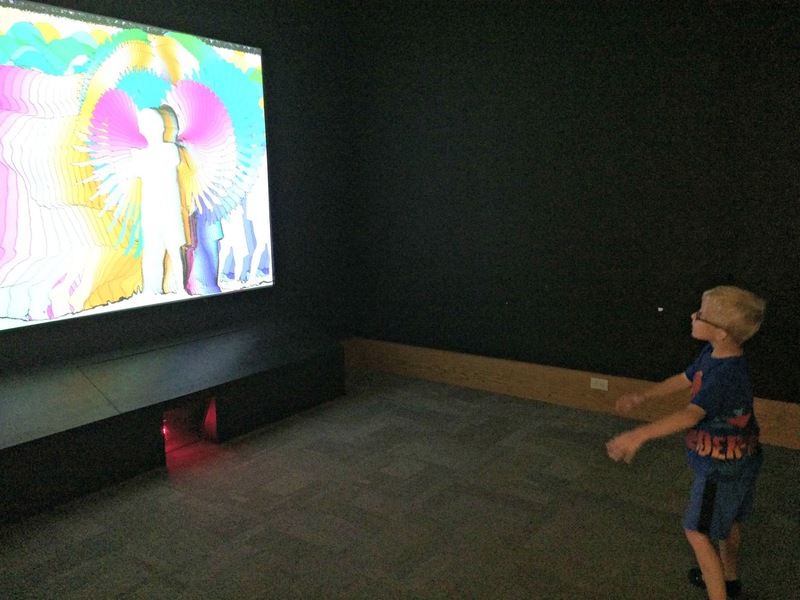 My daughter really enjoyed the Sound Wall which allowed you to create your own musical scores by hitting various patterns of shapes placed on a wall before you and the Electricity Attractor which shoots patterns of sparking light around your hand when you place it on a screen. They also have a a Laser Harp where you can play the instrument by strumming your fingers across an open space where the strings should be and an Anti-Gravity Mirror that creates an illusion that you are flying. 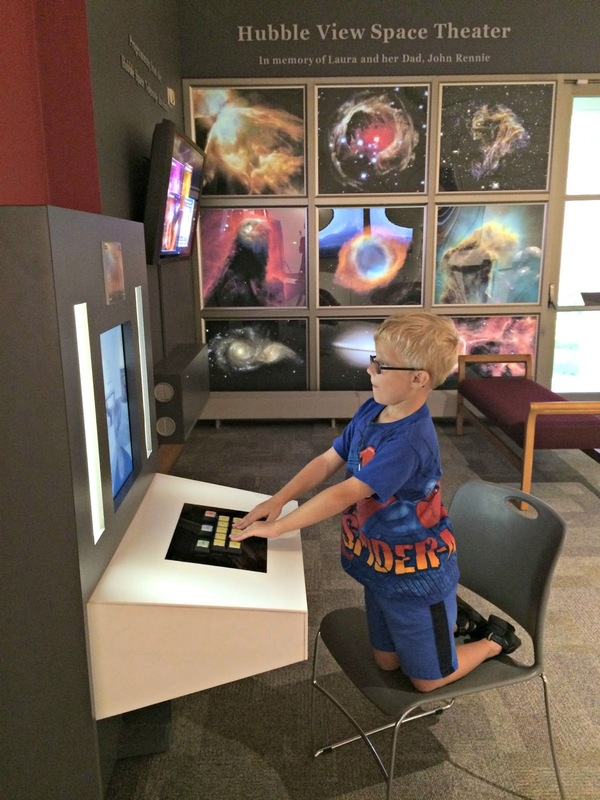 The Hubble Space Telescope display which features transmissions from NASA and the Space Telescope Institute was also a hit with my kids. 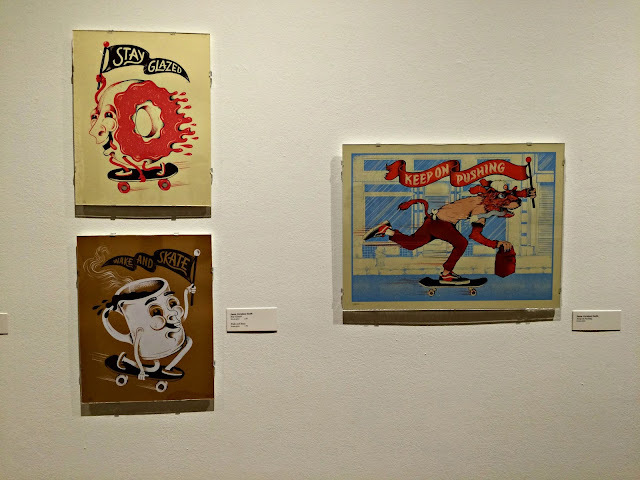 We wrapped up our visit by walking through a visiting art exhibition called Sideways: Exploring Skateboard Art + Culture by a Northwestern Michigan College alumnus Aaron Draplin which our family really enjoyed. My kids are infatuated right now with skateboarding and we had no clue this was on display until we stumbled on it while wandering through the Dennos Museum Center. 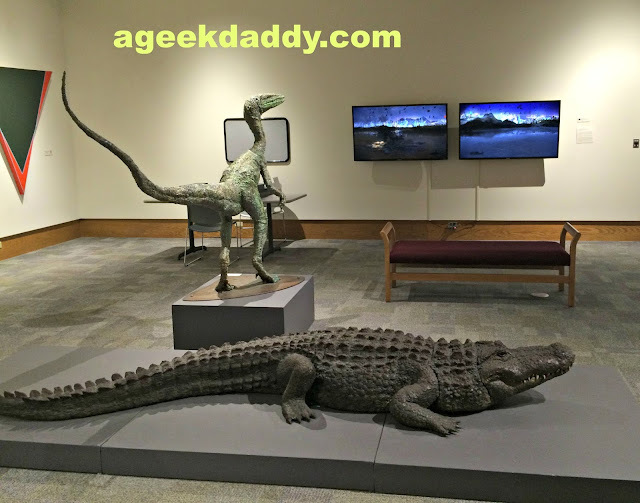 You never know what great unexpected discovery you'll make when you visit local museums like this when traveling to new places. That's not it though there is one more place to explore as you are heading out. There is an outdoor sculpture collection surrounding the Dennos Museum Center that you should really check out. 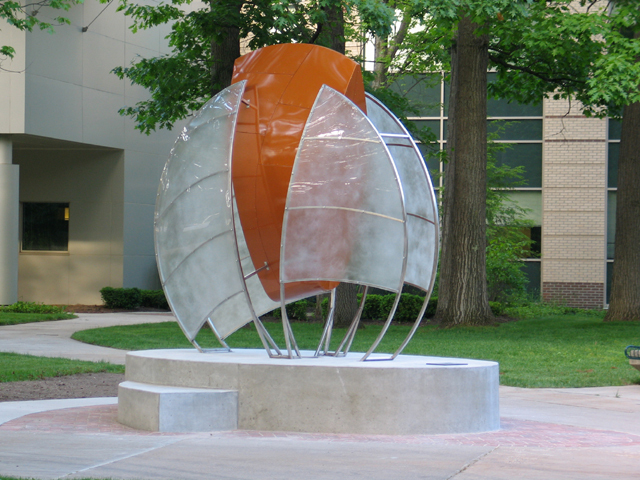 There are 13 unique original artworks placed in the vicinity of the building. Click here for is a listing of the sculptures and and a photo gallery of their pictures. Getting a little extra exercise to take a stroll around to appreciate these though provoking sculptures is well worth the time and effort. Don't miss out on this one last thing as you head back to the parking lot for your car. Admission cost our family of four $20. $5 per person for an hour or so of learning and family bonding isn't a bad price to pay. 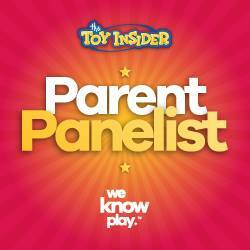 Normal rates are $6 per adult, $4 per child or $20 family package which covers admission and parking. For more information, visit dennosmuseum.org. 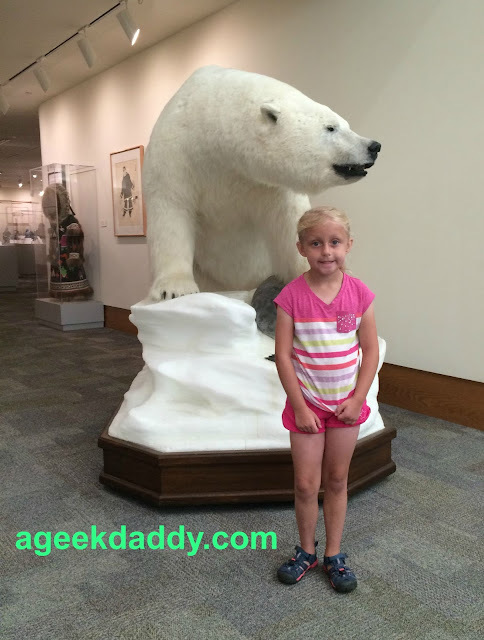 Looks like a fun museum for kids! I've only been to TC once, about 13 years ago (2002 high school spring break), I should go back at some point. First of all, your children are adorable! 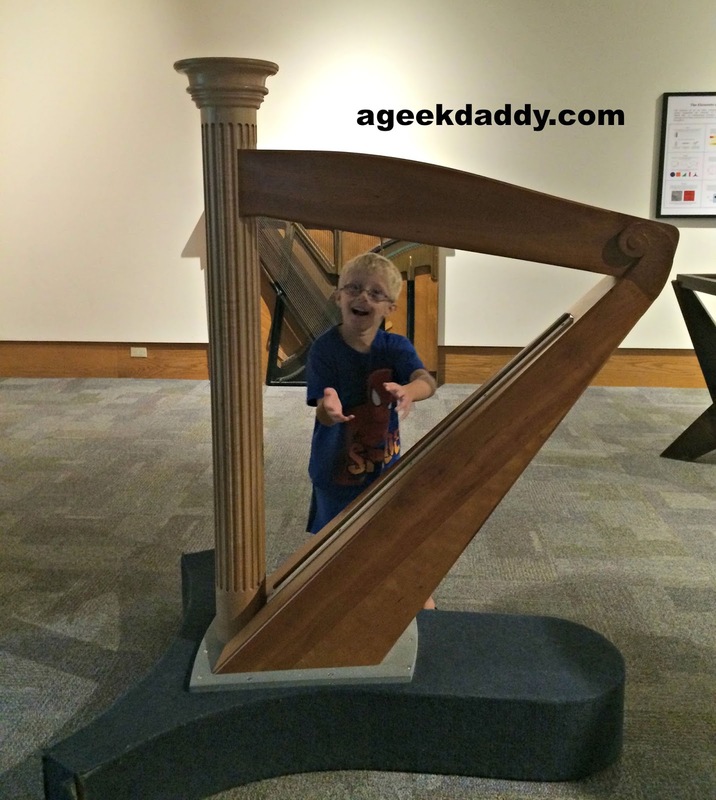 I love how hands on the museum is - perfect for people with kinesthetic learning style.